The birth of Blockchain has marked the transformation of the world. The benefits that it brings to technology and finance are undeniable. Thanks to DApp’s executive role and its thorough application, Blockchain will open a new era for decentralized finance, with totally transparent and secure binary options transactions. DApp – Decentralized Application is a model created by Blockchain technology and smart contracts. Everything on DApp is encoded, immutable, secure and no one has the right to change and no one can cheat and scam. This is an application, a fully “autonomous”, secure and transparent system. It was the birth and the strong development of DApp that had a great impact on binary options transactions. The whole process of exercising options will be handled by smart contracts without outside interference. In addition, all users have the same user rights and do not need to worry about censorship of others, including the company that creates the system. All binary options will be automatically and quickly executed, when it satisfies the pre-programmed conditions in the smart contract. 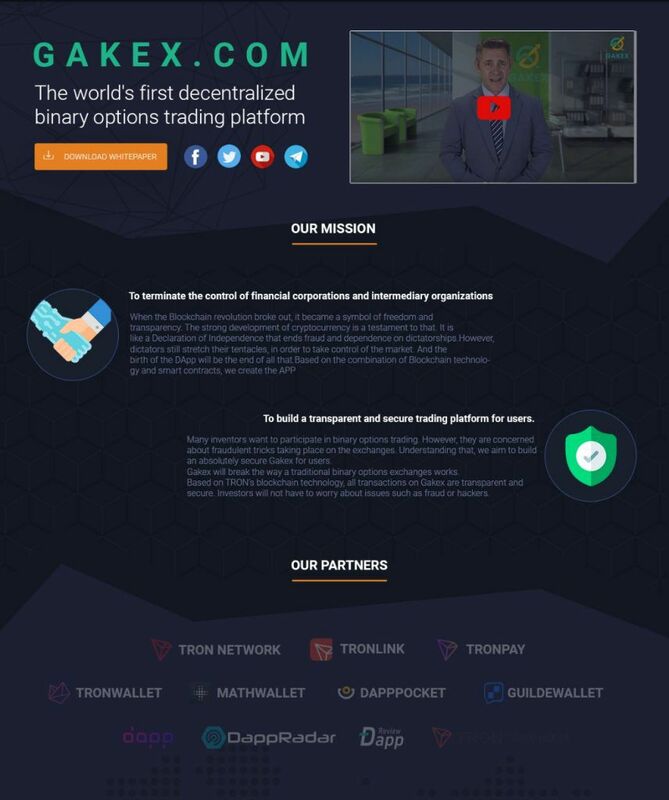 Thanks to these features, DApp will open an era of binary options trading that is completely transparent and secure. Based on the combination of Blockchain technology and smart contracts, DApp Gakex was launched. We have created DApp Gakex to contribute a part of our effort to erase the dictators’ control of financial markets; gain freedom and gain ownership for investors. Thanks to DApp Gakex, for the first time in history, users can fully control their assets using “non-custodial wallet”, allowing them to spend and trade currency in a peer-to-peer manner. Based on Blockchain technology, DApp Gakex will integrate and innovate tools to match real-time, to improve asset liquidity and transaction efficiency, and also increasing transparency and security for users. 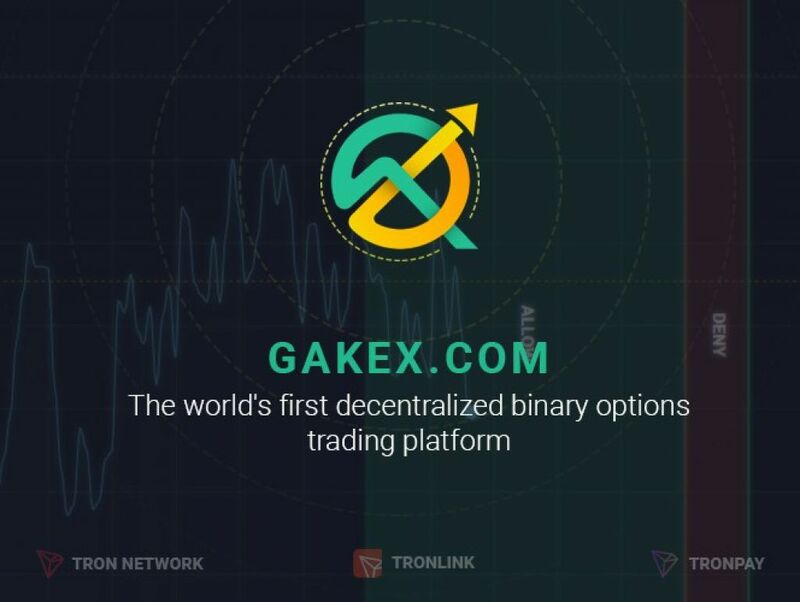 Created by Tron’s Smart contract technology, we believe that Gakex will become the first decentralized binary options trading platform in the world that is absolutely safe and transparent on TRON’s Blockchain.